Time hasn’t mended the fences between Haye and Bellew, which might just be the best thing for this bout. The original fight ended unsatisfactorily for boxing fans. Haye was out of shape, with flawed preparation hindering him as much as his Achilles injury. Bellew wants to end the doubt. The 35-year-old wants to end the questions over whether he won his 2017 fight because of the injury or on merit. Neither man has fought since with the biggest question not hanging over fitness, but who deals with ring rustiness best? Haye’s training regime changed since the defeat and perhaps that injury and the one which required the rematch be postponed from December, stopped him over-training, leaving him sharper? The Liverpudlian ‘Bomber’, an avid Everton supporter, wouldn’t have it any other way. He dared Haye to fight him and won; he’s almost on a hiding to nothing in a rematch. Bellew already caused the upset, writ his name large in lights and been crowned champion. Now in a complete role reversal, it’s Haye who is the usurper, the fighter with something to prove. Four-and-a-half years ago, Bellew took a brave decision. Beaten by Adonis Stevenson, he moved up to cruiserweight and revived his career. With two unsuccessful attempts at winning the world light-heavyweight title, he stepped up a division and three months later was on his way. Valery Brudov was stopped three months later for the WBO International title, graduating through the European title to the vacant WBO world title two year later. Two successful defences later and we’re here, at the O2 Arena for a grudge match British fight fans have been long looking forward. The Heavyweight division in his one fight so far, has been to his liking. Yet Bellew wasn’t satisfied. He told Ring Magazine that he felt his “stamina was questionable.” Mistakenly, he believed extra weight would help him “absorb more punches” and weighed in just 11 pounds lighter than his opponent. It’s not a mistake he will be repeating, to the extent that this time he is in “good shape” and “aesthetically I’m probably the best I’ve ever looked.” More importantly, he has a “solid plan”; this time there is no excuse of being an underdog to fall back on. Bellew is expected to perform and in many quarters, to win. 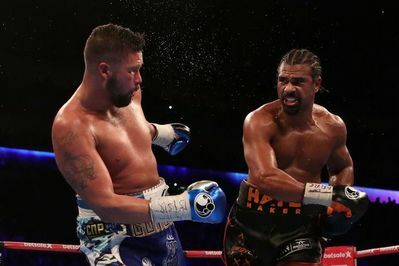 Bellew is targeting the later rounds, noting Haye has never “become stronger as a fight wore on”, Yet it’s a risky strategy for himself, needing no over-confidence or over-estimation of his abilities in the early rounds. It only takes on slip and if Haye tags him, questions about the Liverpudlian’s chin will be answered. It’s make or break time for Haye. The former WBA heavyweight champion of the world is shaping up for only his second fight in two years and only his fifth since Wladimir Klitschko won a unanimous decision in Hamburg seven years ago. Despite medical advice in 2014, Haye never officially retired. 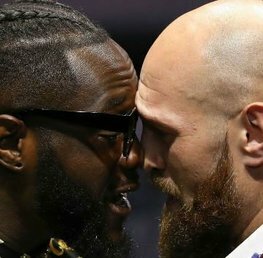 The Bermondsey-born fighter has taken a low-key return to the heavyweight division. Mark de Mon and Arnold Gjergaj lasted three rounds between them, leading up to the first fight against Bellew. Haye has shaken up his training regime. Gone is Shane McGuigan and in came Ismael Salas who previously worked with Jorge Linares at lightweight. According to the East End lad, he under-trained last time around and turned up with a questionable attitude. No repeat this time, and Haye has taken on more sparring rounds, as well as training harder for the last six months than before. Whether that takes a toll on his fitness remains to be seen. While the Achilles which hampered the first fight, Haye has a history of injuries. His planned fights with Tyson Fury were twice called off due to medical reasons and Saturday’s rematch was postponed last year when he suffered a bicep injury. If Bellew has questions to answer, so too does Haye. One or other will provide the answer. 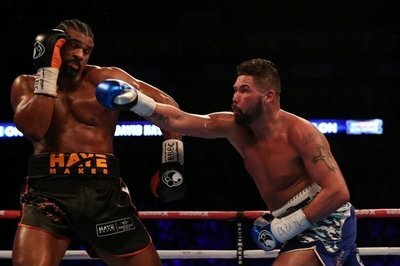 Bellew’s record is 29 wins and 2 defeats; 19 wins and 1 defeat by KO with 10 wins and 1 defeat on points. Haye is 28 wins and 3 defeats; 26 wins and 2 defeats came by KO with the remainder points decisions. Bellew: 7/4 – Visit Betfair! Draw: 33/1 – Visit Paddy Power! Haye: 4/9 – Visit Coral! 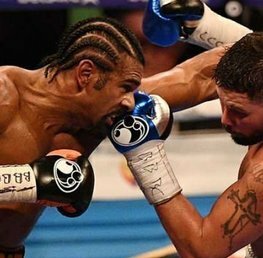 Despite the result in the first bout, David Haye is most people’s favourite to take revenge. It’s not hard to make a case for the bigger man to win, and for Haye to have several points to prove, not least about his fitness. Bellew, however, remains scathing in his opinion of Haye as a person and stung that he isn’t getting recognition which he feels he earned. Now we get the answers about both men. The nagging doubt about Bellew is the manner of defeat he suffered at the hands of Adonis Stevenson. He was the bigger man and Haye is even heavier. 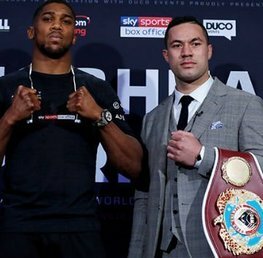 The Liverpudlian will need his best dancing feet on if he is lither and less focused on absorbing punches. 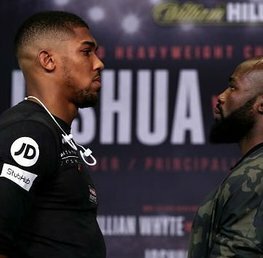 It’s hard to shake the feeling that for all the hopes he has of fighting Wilder, Fury, Parker and other notables in the division, this is a fight too far. For this one, it’s the return of the Hayemaker. Haye to win in rounds 4– 6: 9/2 – Visit William Hill! Haye to win by TKO/KO/Disqualification: 8/11 – Visit Betfair! Bellew by decision: 6/1 – Visit Coral! Bellew to win in round 11: 66/1 – Visit William Hill! New customers only. Min first bet of £10 at evens or greater. Free bets credited within 48 hours. 30 Free Spins on selected games. 7 day expiry. E-Wallet restrictions apply. Full T&Cs apply.